So let's get to the obvious social media network partners. You have to start with the giant of the industry FACEBOOK, thanks to all the great fans and follows we quickly maxed out our person FACEBOOK page at 5000 and have now created a great interactive FAN Page with facebook. Click the the banner or this link to join our FAN page and if you still a follower of our original company Bass Fishing Florida we have a FAN Page for that also. So join us, tons of fishing reports, interaction and pictures with lots of like minded anglers. Google plus offers features facebook yet to have and has seem to be more business oriented by introducing features Google+ pages for Business. Checkout our Google+ Bass Online page and while your browsing Google+ don't forget to stop by our Central Florida Bass Fishing page, Central Florida Fishing Page and our Lake Okeechobee Fishing page. That's right your favorite place online to watch social media videos YOUTUBE. A great place for BASSonline TV to introduce the angling community to Florida fishing from the social media angle of real time video. Log on to BASSonline TV and see all our videos from pass fishing trips, including capturing a complete year in one video. Enjoy a visit to our NASCAR fishing events among others. Fishing tournaments, Corporate fishing trips and fishing guide interviews all captured on YouTube everyone's social media location for video.. In the world of Social Media there are thousands of ways to stay connected, we have list a few of our favorites that we hope you will visit with us. The Web is a big place, full of new and interesting things to discover. The problem is finding the good stuff and keeping track of it all. This is where Delicious can help. Twitter is a rich source of instantly updated information. It's easy to stay updated on an incredibly wide variety of topics. Over 80 million professionals use LinkedIn to exchange information, ideas and opportunities. Hope you will join us! A place for people to discover and share content from anywhere on the web. Here are just a few things to help you get on your way. 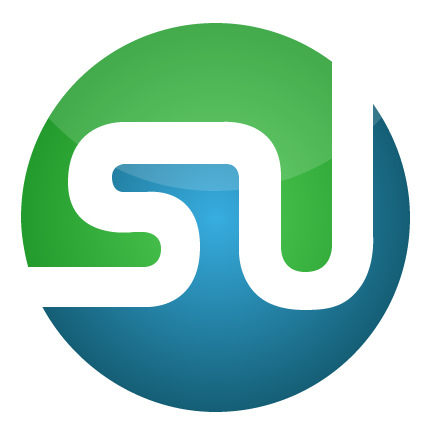 StumbleUpon helps you discover and share great websites. As you click Stumble!, we deliver high-quality pages matched to your personal preferences. These pages have been explicitly recommended by your friends or one of 8 million+ other websurfers with interests similar to you. FriendFeed is a service that makes it easy to share with friends online. It offers a fun and interactive way to discover and discuss information among friends. HubPages is the most rewarding place to publish, discover and interact with people who share your interests. The social network for travelers and travel experts.. These are a few of the social networking locations you can find us among many others...look forward to seeing you online!